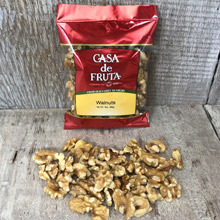 Walnuts without the shell - good for you and great as a snack, on salads, in baking. Packaged in a handy 3 oz. snack size.